Character and theme-driven stories in RPGs are something I love wholeheartedly. Some series that I believe do this well are the Shin Megami Tensei series and its side-series, Persona. Following a similar trend, The Caligula Effect: Overdose sets itself among a colorful cast of characters and an interesting premise. That premise includes a digital world where people go to escape the issues of everyday life seemingly forever. 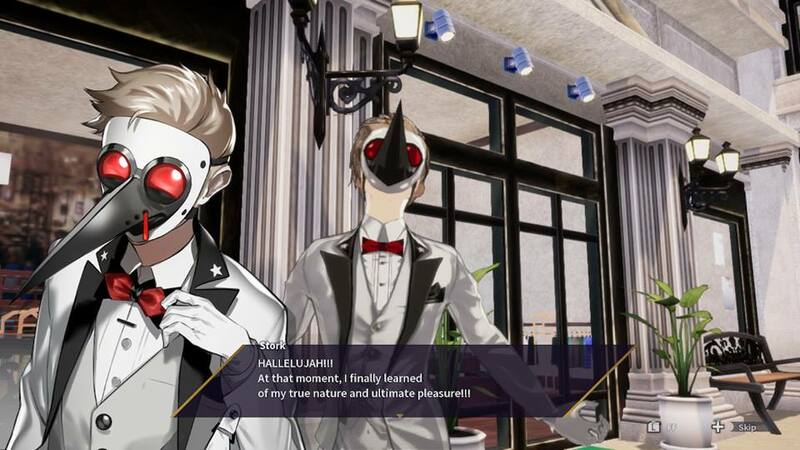 Overdose itself is a remake of the 2017 PlayStation Vita title The Caligula Effect, which also went on to receive an anime adaptation. Nevertheless, it is time to take a dive into Metaverse-Es and see what The Caligula Effect: Overdose has in store. The story takes place in a digital simulation of reality called Metaverse-Es, where people can escape the troubles of their real lives in a nostalgic fantasy of high school. When giving a ceremonial speech, the main character has a nervous breakdown as he comes to realize the world around him is not reality. As soon as he notices this, he makes a break for it and runs out of the school auditorium. The main character soon runs into a fellow classmate named Shogo Satake who is also aware of the nature of Metaverse-Es. They then head off to an old band room in the school. There, Shogo introduces the protagonist to the Go-Home Club, a group that wants to escape back to the real world. Aria, a virtuadoll, informs the Go-Home Club that if they are to do so, they must talk to Mu, the creator of this world. Unfortunately, Mu is in league with the Ostinato Musicians, a team bent on keeping everyone in Metaverse-Es. So, it is up to the Go-Home Club to defeat the Musicians and get Mu to send them back to the real world. However, that is only one of two paths that players can take. A few hours into the game, an event can be triggered where the leader of the Ostinato Musicians will appear. She will offer the protagonist a chance to join her and the Musicians. In doing so, players will act as a double agent while following the exploits of the Go-Home Club. This option allows for new character interactions and story events if the player so chooses, and is one of the primary additions for Overdose over its original Vita release. This is the point where players can choose to align with the Musicians. With a premise like this, it ought to be quite the enthralling story. Unfortunately, an interesting premise does not salvage the awkward pacing that makes the narrative rather dull. The beginning is a shining example of how poorly paced Overdose‘s plot is. That initial nervous breakdown and subsequent call to action happen within the first half-hour of the game. There is little to no world-building or buildup to the protagonist’s realization. The best way to explain the plot of Overdose is that it just happens. Moments of tension will soon be kicked out of the way for wacky high school shenanigans or phoned-in fanservice. Even the extra story content with the Ostinato Musicians route does very little to add to the overall slog that is The Caligula Effect: Overdose. A small positive for the game’s plot is how different some of the characters feel and act, making a few of them quite memorable. Characters like the perverted cook Stork, the fool with a heart of gold Kotaro, and the wannabe journalist Naruko are not deep or developed by any means, but they are at least an entertaining bunch to watch. The visuals are, to put it simply, cheap and bland. When people talk about the stereotypical look for a JRPG, The Caligula Effect: Overdose is the poster child they are talking about. Every character has a safe paint-by-numbers look to them that just feels dull. Even the areas players get to explore look painfully generic and suffer greatly from copy-and-pasted assets. However, the greatest offender in this case are the enemies that wander around the map. At their core, there is no real difference between grunt A and grunt B aside from levels or weaponry. In addition, the soundtrack features work from several vocaloid artists that unfortunately do not stick in the memory. The songs are rather repetitive and wear on the nerves quickly. All of this combined makes playing Overdose a dreadfully tedious experience. Get ready for repetitive combat! 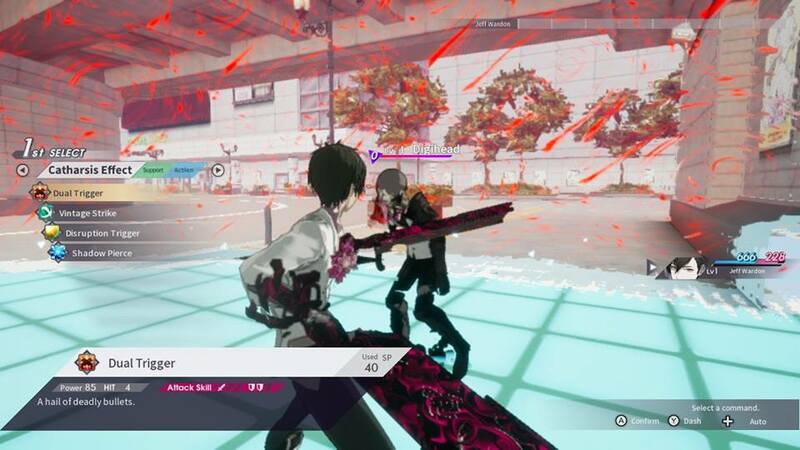 In concept, The Caligula Effect: Overdose has some interesting setups for combat. Character attacks can be timed to chain together combos, which could potentially lead to a lot of room for experimentation and strategy. In execution, however, the game’s combat system boils down to spamming the same attacks and watching all commands play out in a maelstrom of confusion. Seriously, there is no reason to use any skills other than the first ones listed for each character, save for the occasional heal or defense pierce. Players also have the option of moving characters around on the battlefield, but there is almost never a need to do so. This is because characters will move on their own to perform their attacks and enemies will do the same. Another issue with the battles is that they are not challenging in the slightest. Sure, there are stronger enemies, but they will eventually be brought down by chipping away at their health. Enemies effectively act as punching bags that can, on occasion, punch back. There is no real differentiation for how the enemies attack or act in general, making fights with them predictable and easy. One more aspect that completely removes any challenge is the fact that the party’s health and skill points are automatically restored after each battle. Any sense of danger is simply swept away. Moments like this show that this game had potential to be something special, but that potential was ultimately squandered. The major issue with this game is all the missed potential it had. Overdose‘s story tackles some truly pressing issues like mental health and themes like fantasy versus reality. However, the plot only lightly touches on these points and does not attempt to go deeper with them. Even the characters, if they were written better, had a chance to be deep and compelling individuals. There are so many things that could have been done with the story and characters, but Overdose falls short of the mark in every category. As mentioned earlier, the combat system, too, had an interesting concept. Though it ended up being a chore instead. 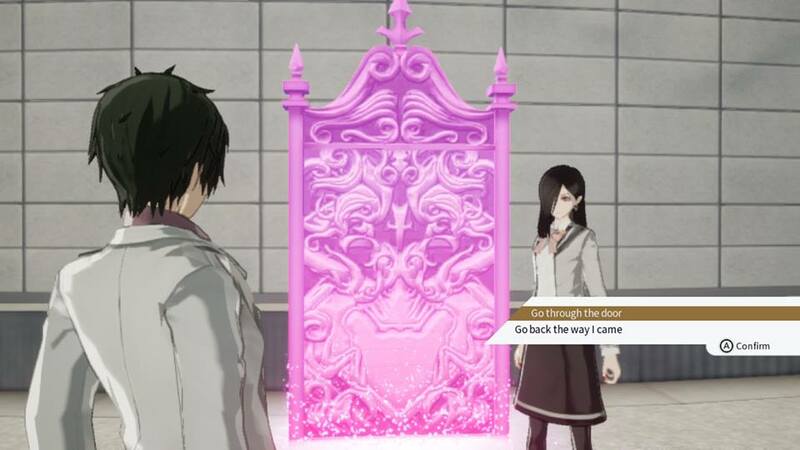 Ultimately, there are many issues with The Caligula Effect: Overdose. There were many things in the game that I truly wanted to like, but unfortunately they do not save it from being a poor title. In its entirety, The Caligula Effect: Overdose is an underwhelming and mediocre experience from beginning to end.